Sigh… it is that time of year again. We bitterly bid farewell to summertime, and face the upcoming fall. However, the end of summer and start of the fall season doesn’t have to be a bummer. With fall comes crisper air, Halloween and Thanksgiving, and of course, pumpkin spice everything. But most importantly, its the start of a new season, which means a new attitude, a rejuvenated mind, and a fresh look. Lucky for you, Glamifornia can help you achieve all of the above at the Style Lounge. What is the first people think of when they want a change in their appearance? Their hair. Let the fall season bring about a change from your summer hairstyle. Summer hair usually means sunkissed, beachy waves, but fall can be about something entirely different. Many people are ready to try something edgier and darker for the fall season and into winter. We’re talking baby bangs, chin-length bobs, and sassy mid-length cuts in caramel ombrés, vibrant coppers, and chestnut browns. The services provided by the Style Lounge are countless – our stylists are experts in cut, color, style, deep heat reconstruction, balayage, and more. Just pick the style you want to step into the fall season with, and our expert stylists will make it happen for you. Naturally, starting school again or just heading into a new season in general is easier if you’re looking and feeling your best. The specialists at Glamifornia Style Lounge are highly trained in brow shaping and tinting, makeup, and lash extensions and fillings. We also know how hard you probably worked on that beautiful tan, and we wouldn’t want you to lose that just because summer is coming to an end. You can count on Glamifornia to keep you naturally glowing even with less sun in the chillier fall months. Lastly, but arguably most importantly, Glamifornia wants to help you take some time to reset yourself before the fall season. You cannot look your best if you don’t first feel it on the inside. Because of this belief, we have made wellness a priority; the Style Lounge is now home to Mindful Mondays and Wellness Wednesdays. Both include Kundalini yoga, which is an uplifting practice both spiritually and physically. 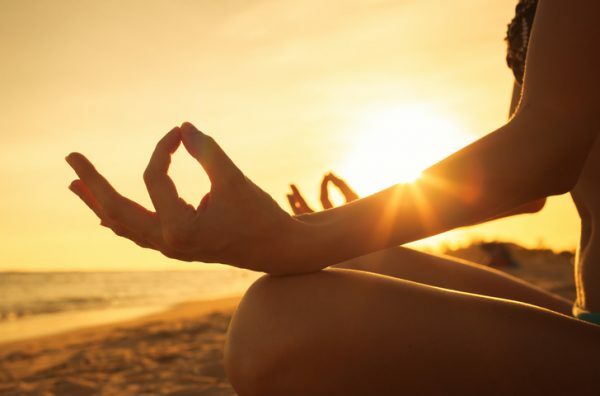 It typically includes holding poses and flowing through sequences, dynamic breathing techniques, meditation, and the chanting of mantras. In addition to this, Mondays and Wednesdays include crystal sound baths/sound healing and reconstruction treatments for the body. There’s nothing better for starting a new season than feeling cleansed and mentally strong. Come visit us for the opportunity! Those that know Glamifornia know that it is far more than just a beauty salon. While our stylists do care about giving you the beauty treatments of your dreams, we want your visit to the Style Lounge to be a full experience. You will leave feeling pampered, confident, and relaxed, as if you’ve just returned from a quick vacation (on top of looking amazing). We truly care about our customers and want to give them our all. Let us help you step into the fall season as your best self in every aspect!